Hey Lawrie, let’s refocus that intensity. You also deserve a suspension. 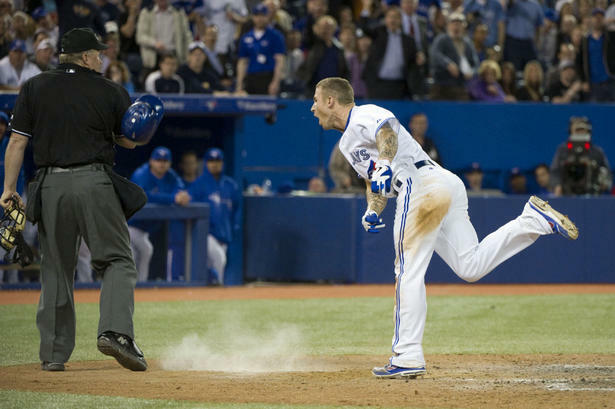 Jays third baseman Brett Lawrie is looking at some form of suspension after a temper tantrum over two poorly called strikes against him in the bottom of the ninth resulting in his ejection. LIVINGSTONE: The Jays have looked like a team who left its defense at home the last three games. Seven errors in three losses resulting in nine unearned runs – six coming in the 7-1 loss to the Rays Monday night and three again Tuesday night, on four errors, against the divisional rivals. The frustration seemed to boil over Tuesday night for a team determined to compete, but coming up short defensively. Bright side? The Jays have turned 50 double plays in 37 games according to mlb.com, six more than the Baltimore Orioles. Sadly, however, they’ve committed 41 errors in 38 games (37 in 37, but tack on the four from Tuesday night and there you have it). That’s anything short of good. They lead the league in errors and the fielding – both infield and outfield – has been a big part of the Jays struggles. Let’s not forget the seven blown saves so far this season – but defense wins championships, or at least plays a huge part of it, and the Jays certainly aren’t playing in the field like contenders. But that’s neither here nor there. What really needs to be said in this post is with respect to Brett Lawrie. 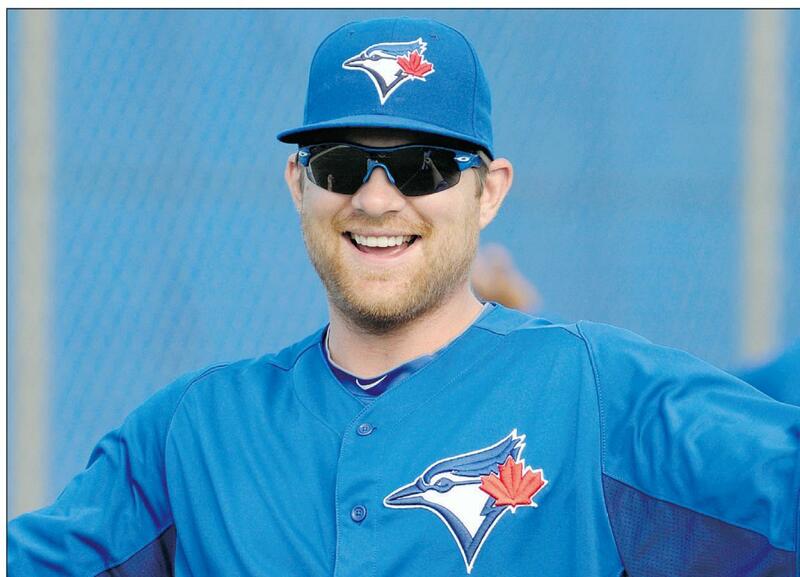 Jays fans young and old alike love this kid for his high energy approach and league-leading level of intensity. He plays every game like it’s a game seven in the World Series. Fans love it – even fans from other teams can appreciate his youthful energy. He brings something to the game that isn’t seen in many organizations and it’s a breath of fresh air (cliched?) for a club – and a fan base – dying to be relevant again. But he went too far Tuesday night when he threw one of the biggest temper tantrum’s seen in recent memory. Down a run in the bottom of the ninth, Lawrie came up to bat with one out. With a 3-1 count, closer Fernando Rodney threw what looked like – and even someone sitting in the 500-level at the Skydome could see it was – ball four and made his move for first. Home plate umpire Bill Miller wasn’t having it and called it a strike. Visibly frustrated by the call, Lawrie stepped back in and took what looked to be ball five high and outside. Lawrie made two steps toward first before Miller called strike three throwing Lawrie into a fit of rage. He went straight at Miller and in the process, slammed his helmet at the feet of the umpire, bouncing it off the side of his leg. Miller looked stunned by the move and Lawrie continued to scream every obscenity in the book at the veteran umpire. It took coach Brian Butterfield to keep Lawrie from getting back into Miller’s face. Mere minutes after and about fifty f-bombs later, Manager John Farrell was ejected. Don’t get me wrong: Lawrie had every right to be upset about the two terrible calls made by Miller. They dictated how the end of the game would go, and in a 4-3 game, it was far from over. It seems Miller took Lawrie’s initial move to first personal, like he was showing up the seasoned ump. Sportsnet baseball guru Mike Wilner said something to this effect in the post-game show on FAN590 and I would agree. Miller made it about him. Even if that fifth ball, high and outside, had ended up in the dirt three feet in front of the plate, Miller would’ve called it a strike. Lawrie’s reaction, however, was completely uncalled for. The frustration didn’t have to be such a spectacle. Argue the strikes, get tossed, curse at the umpire, but the reaction was that of a guy who needs to figure out how to get his emotions in check. At 21, Lawrie has a long way to go before he matures and it certainly showed Tuesday night. Last year, Yadier Molina, catcher for the St. Louis Cardinals, got five games for bumping an umpire over a bad call. If Lawrie gets less than 10 games, I’d be surprised. It could end up being more, as Wilner pointed out, if the league disciplinarian determines Lawrie was intentional in hitting Miller with his helmet. Lawrie deserves to be suspended and I hope that kind of embarrassing display doesn’t happen again. That’s not what the Jays are about. Sure, the passion and intensity is there, but it needs to be channeled into making quality plays on the field, picking good pitches to hit and then hitting the cover off the ball. The opportunity for the Jays to be contenders is in their grasp. Discipline and focus is going to get them into the playoffs. They need to find it quick. Like last season, Adam Lind looks lost at the plate. Time to mix it up in the Jays line-up? STRADER: I love the guy. I do. He seems like he’d be your best friend. His wife is Canadian. He loves the city. And I do love his swing. It’s time to move Adam Lind down in the lineup. The vultures are circling Jose Bautista, and I understand why. The lack of 3-4 power is getting sooooooo frustrating. But Joey Bats can’t move. He can go from the third hole to the fourth, I don’t mind that, but in my opinion he’s still one of the most intimidating bats in the league, we’re still seeing him intentionally walked, and he’s clearly pressing. He’ll break out. But Adam Lind, yick. Besides 26 HR’s in a shortened season last year, he isn’t performing like a clean up hitter. His OPS against righties has hovered around .750 for three seasons now, and he struggles against lefties. That simply isn’t good enough for a clean up hitter in the AL East. I don’t want to see the kid given up on. I think he’s going to win a gold glove at first in the future, but I wouldn’t push for Lyle Overbay to be the clean up hitter in the AL East, would you? Somebody on the team is seeing the ball well. Somebody had an unbelievable 2.300 OPS against the Seattle Mariners. Somebody is looking like the natural hitting machine you want in the RBI position. That guy, is Edwin Encarnacion. Helps me to carry on! They are ready for you now. Farrell has reportedly said it’s going to take 100 at bats for him to make any drastic lineup changes. So we have approximately two more weeks to wait and see if he’s fed up. I am. So, here is what I would propose. That’s what I think Jays fans. Let me know what you think.